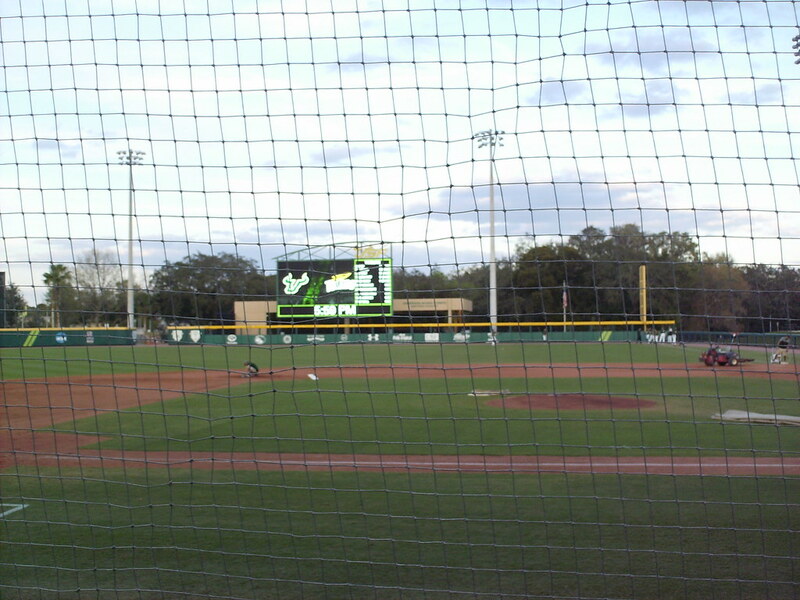 The view from behind home plate at USF Baseball Stadium. 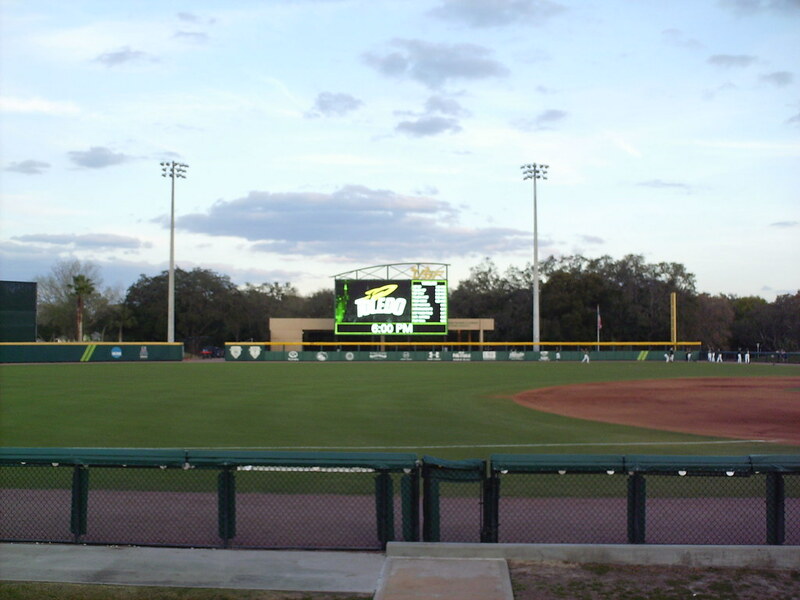 The grandstand at USF Baseball Stadium, as seen from the left field corner. 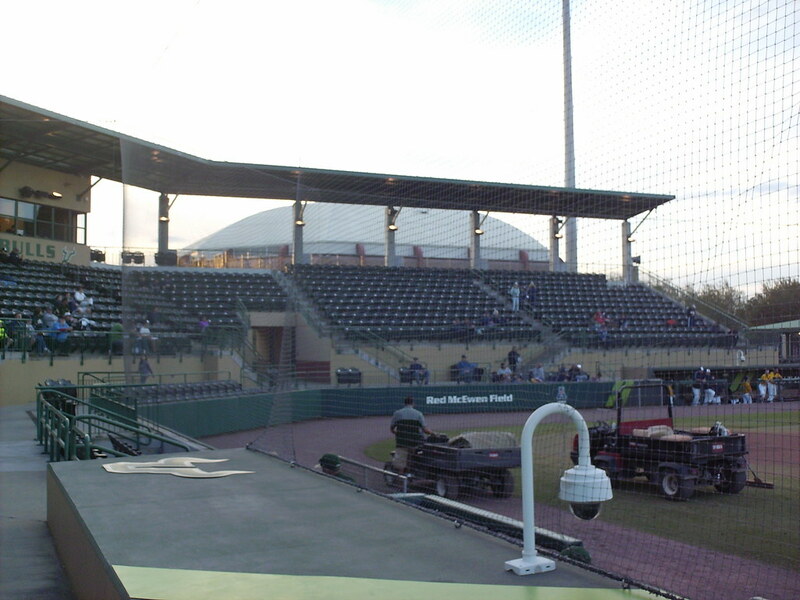 The pressbox sits at the top of the grandstand behind home plate. 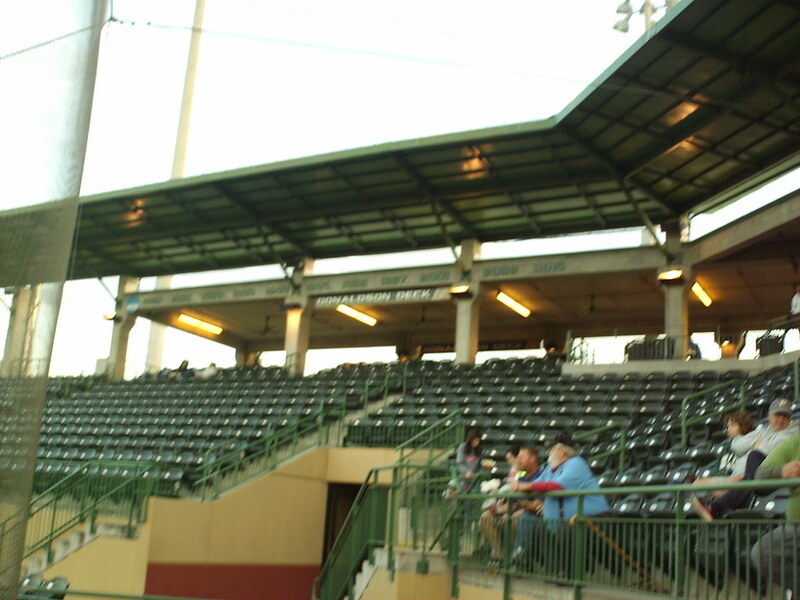 A group party deck sits at the top of the first base side of the grandstand. 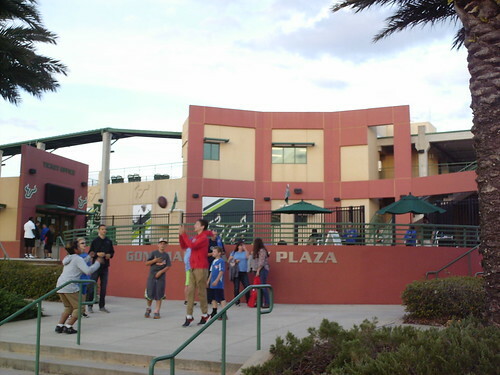 Signs on the facade celebrate the Bulls NCAA tournament appearances. 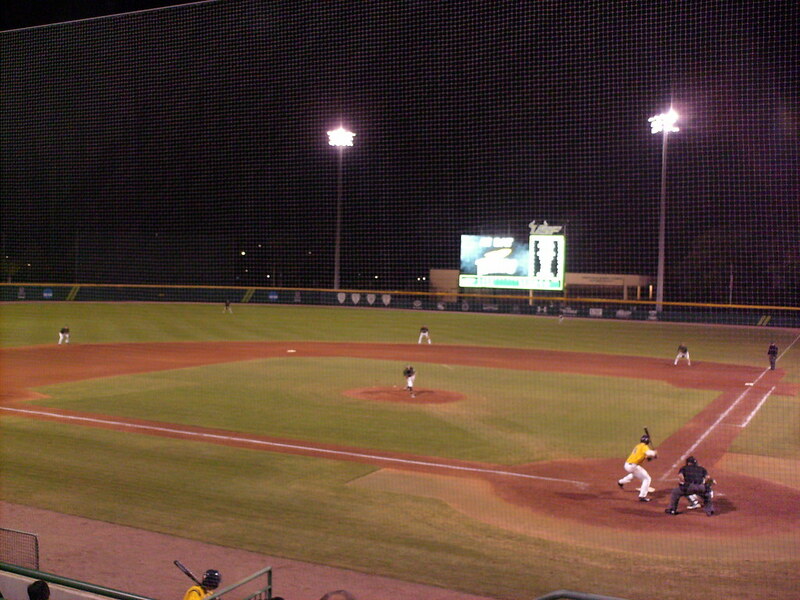 The USF SunDome, home to the school's basketball team, sits behind the third base side of the ballpark. 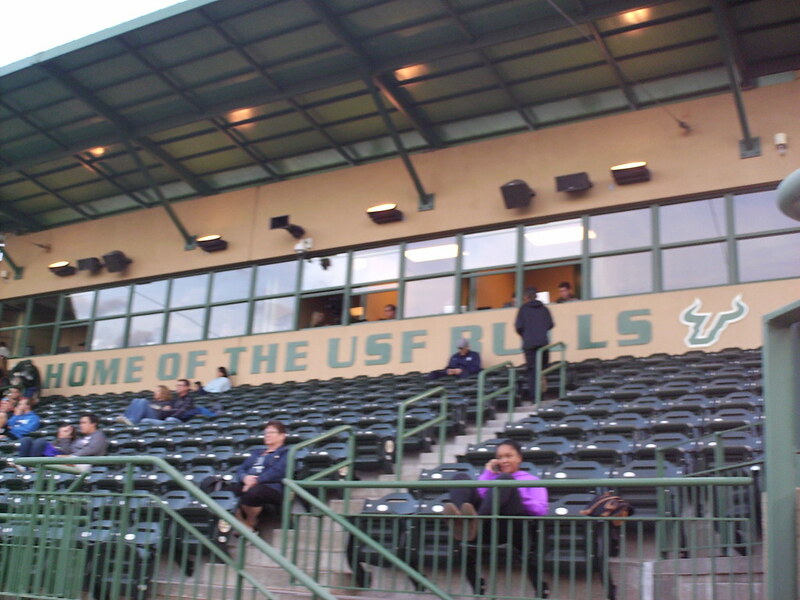 Two rows of padded stadium seating sit closes to the field at USF Baseball Stadium. 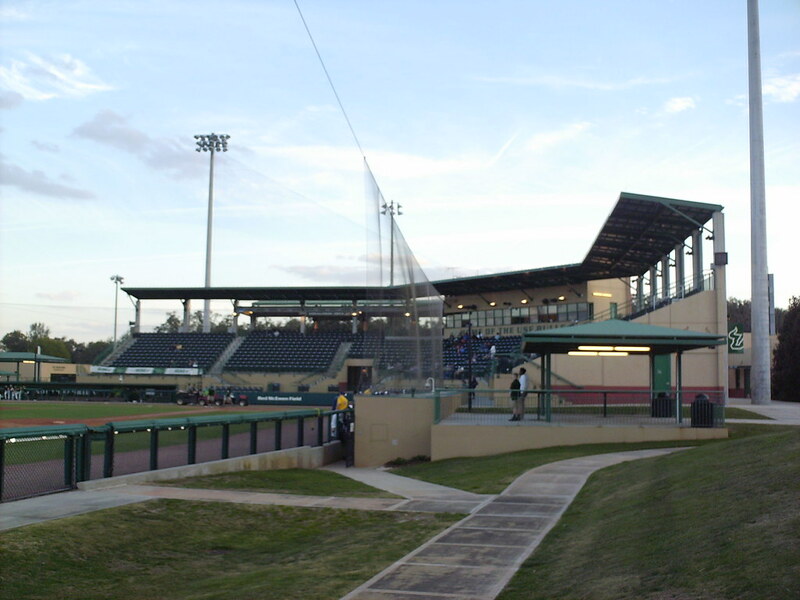 The stadium was built in 2011 near the site of Red McEwen Field, the school's former ballpark. 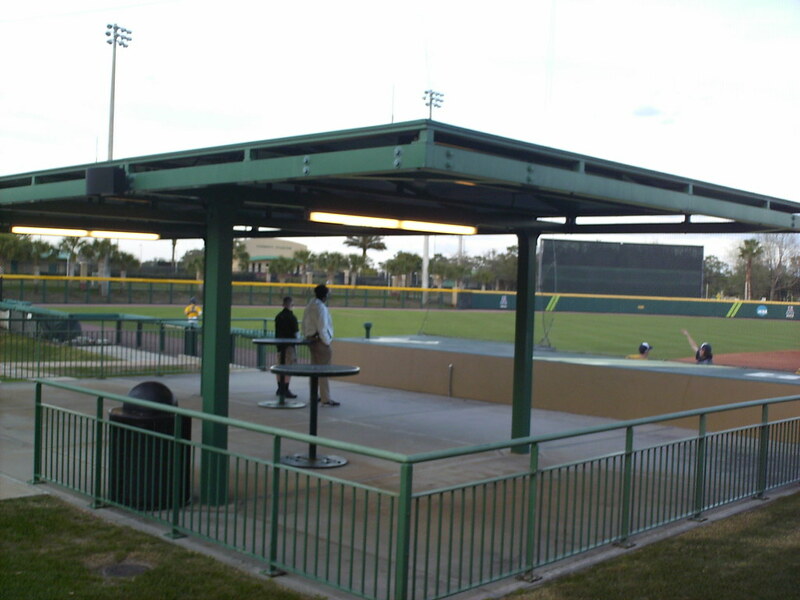 A covered picnic table deck sits down the third base line. 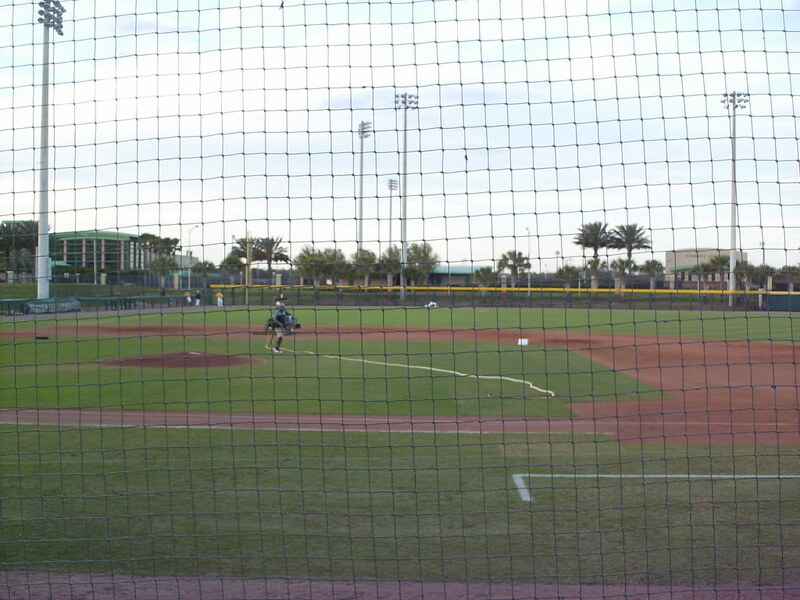 A large grass berm wraps around the left field fence. 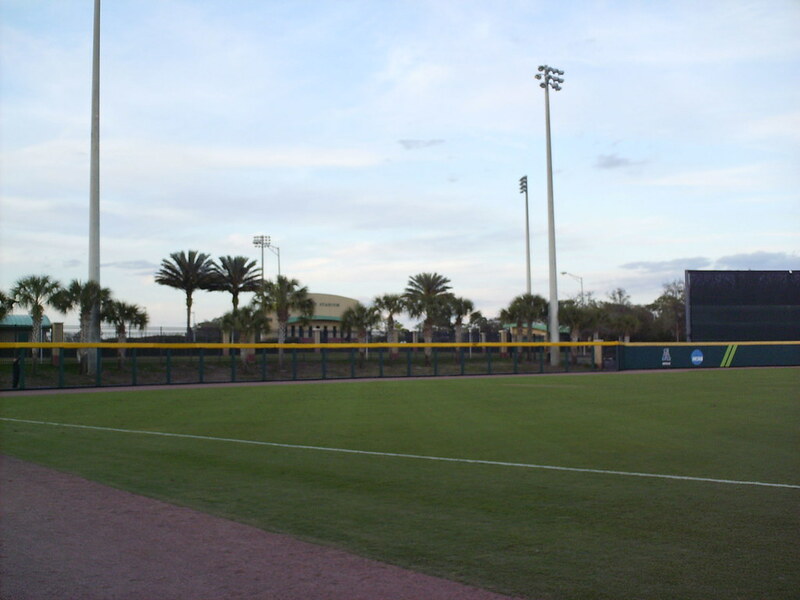 Palm trees line the berm behind the left field wall. 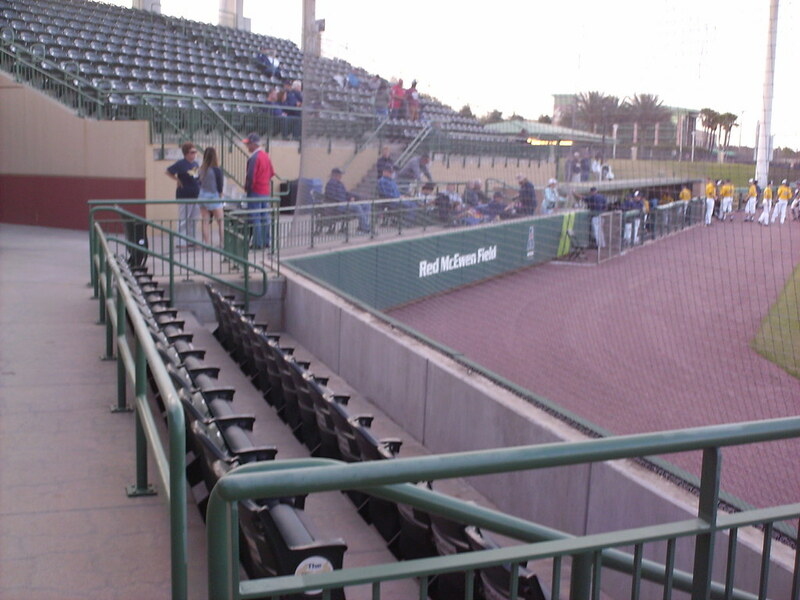 The fence along the berm is chain link so fans can watch the game through it. 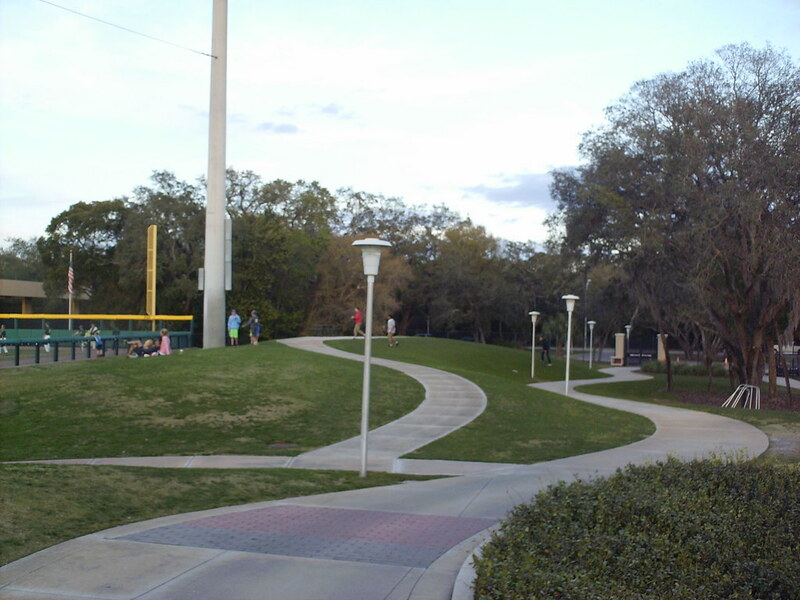 The outer concourse on the right field side of the park features hills, walkways and shade trees. 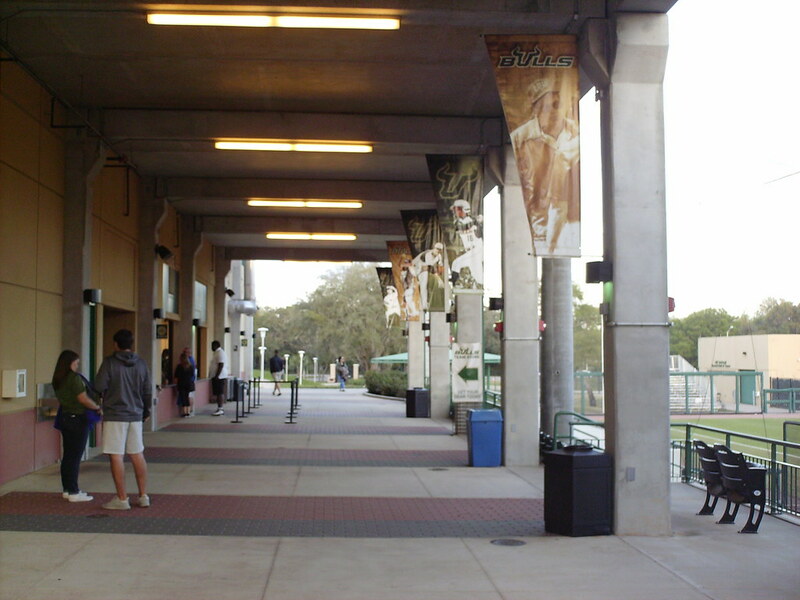 The main concourse, underneath the seating bowl. 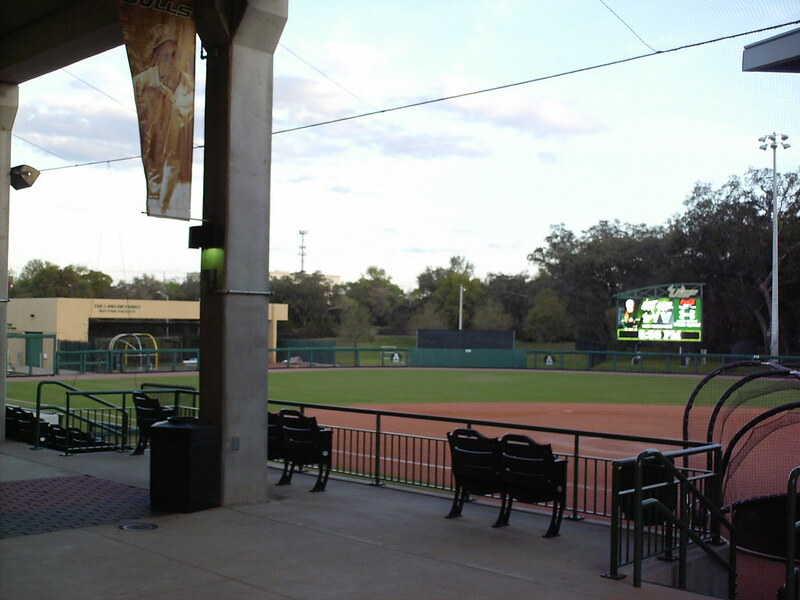 The first base concourse at USF Baseball Stadium is also the concourse for the USF Softball Stadium and fans can easily walk between the two parks. 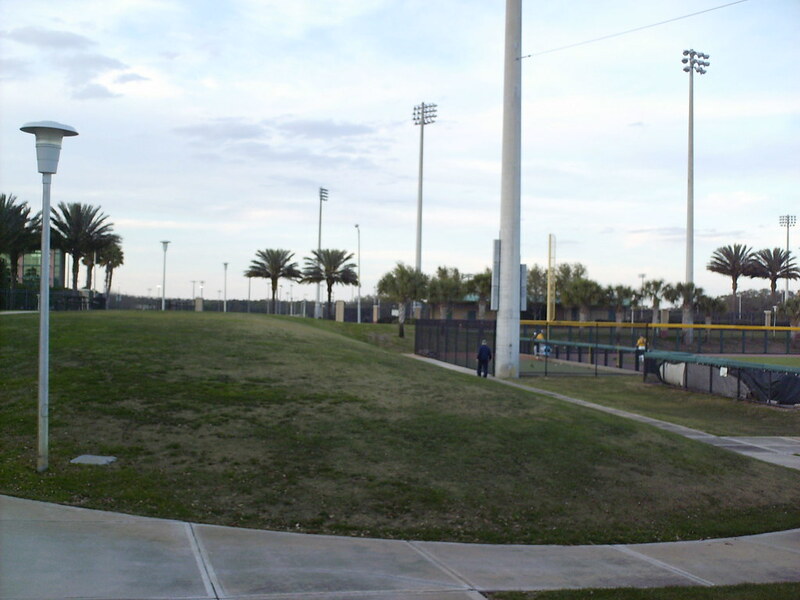 The scoreboard sits in front of the batting cages in right field. 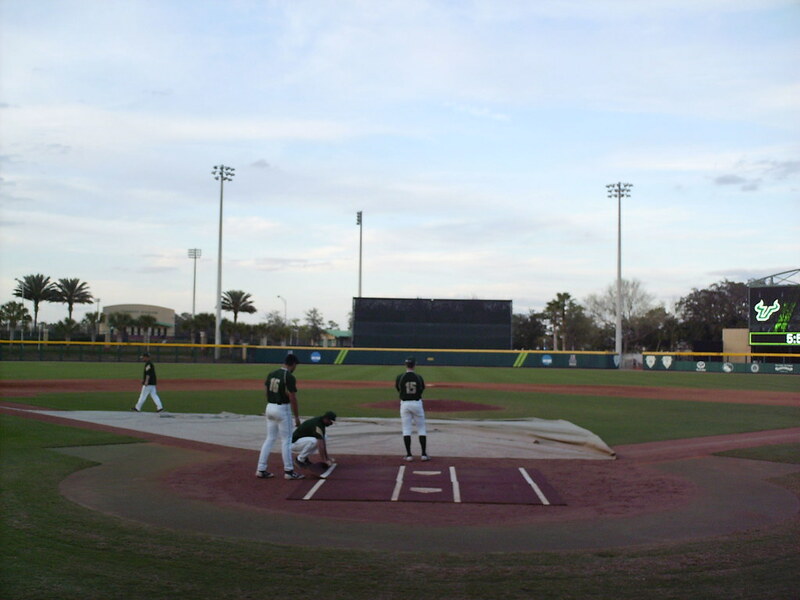 The University of South Florida Bulls on the field during a game at USF Bulls Stadium.